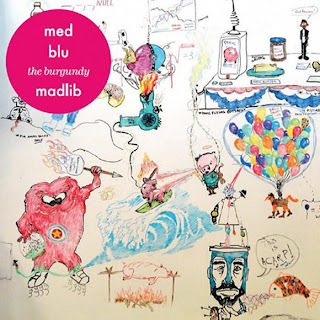 Today, MED and Blu present their new video for the Madlib produced track "Burgundy Whip," a song that popped up just a few weeks ago. This trio is what hip hop is all about -- good vibes. In the visual we find MED and Blu out by the beach spittin' their bars and keeping things chill. It's exactly what you'd expect to see to such a feel good hip hop tune. You can snag The Burgundy EP out now via Stones Throw.